Samsung has been making quite a wave in the mid-range segment by launching new lineups and also by adding meritorious phones to the existing ones. The Samsung Galaxy A2 conforms to its trendy streak and is a budget Android (Go edition) phone with decent specs to back it up. The Galaxy A2 Core comes with a 5-inch qHD (540×960) TFT LCD screen and is powered by Samsung’s proprietary Exynos 7870 processor clubbed with 1GB of RAM and 16GB of internal storage. It has a 5MP rear camera with an LED flash and a 5MP selfie camera on the front. A 2,600mAh battery completes the Galaxy A2 Core with a microUSB port. It supports connectivity options including 4G LTE, WiFi 802.11 b/g/n, Bluetooth 4.2, a 3.5mm headphone jack, and FM Radio. The phone ships with Google’s Android Oreo (Go edition) OS that has been crafted to suit entry-level devices with rationed RAM and storage. 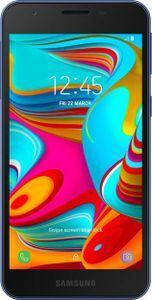 The Galaxy A2 Core is quite a compact smartphone measuring 141.6×71.0x9.1 and weighing 142 grams. The Samsung Galaxy A2 Core price in India is expected to be Rs 5,000. The phone may launch in the first week of April 2019. The Samsung Galaxy A2 Core price in India is Rs 5,290 for the 1GB + 16GB internal storage variant. The phone is available in 2 variants: Blue, Grey. The phone was launched in India on 30 November -0001. Being an entry-level smartphone, the Samsung Galaxy A2 Core runs Google’s lightweight OS, i.e. Android (Go edition). Google has crafted Android Go with light versions of its popular apps to match up to the limited hardware in such devices. Android (Go edition) branded apps include Google Maps Go, YouTube Go, Gmail Go, Files Go, and more. The OS is well suited to run operations seamlessly on the phone with up to 1GB of RAM. With Android (Go edition) on the software side, the Samsung Galaxy A2 Core works effectively without slackening. 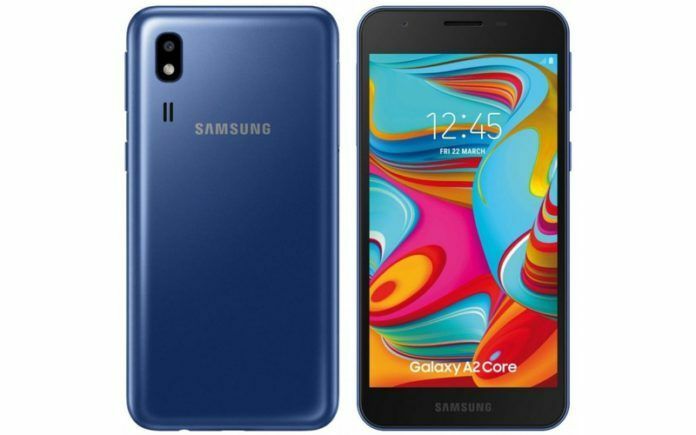 Samsung’s Galaxy A2 Core is not the first Android (Go edition) phone on the market. Xiaomi recently launched its the Redmi Go smartphone with Android (Go edition). Priced at Rs 4,499, the Redmi Go makes up for a head-on competitor for the Galaxy A2 Core. 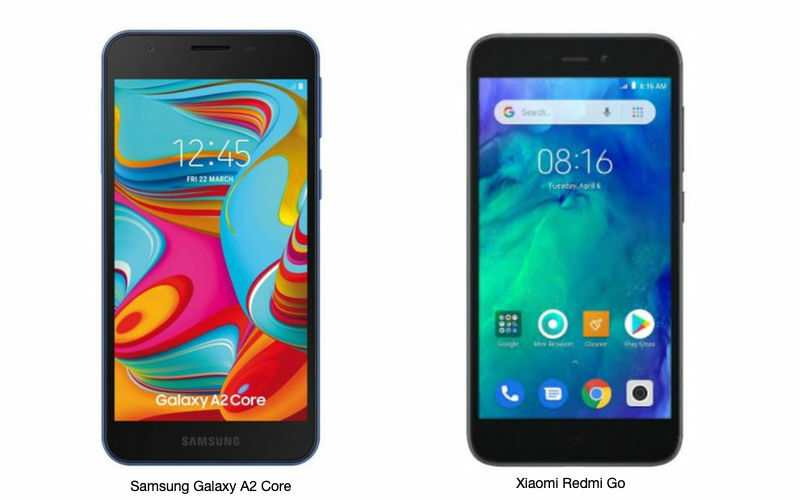 One upper hand that the Redmi Go already has over the Galaxy A2 Core is that the former runs Android Pie (Go edition) while the latter settles for Android Oreo (Go edition). Of course, Samsung could get even by rolling out an update after the launch. Its stronger point comes in the form of storage as it has twice the internal storage than the Redmi Go.